Burnley have reportedly had a £10m offer for Hull City midfielder Sam Clucas turned down. Last week, the Clarets' opening gambit of £5m was turned down by the Tigers, who are determined to hold onto the versatile 26-year-old, who joined Hull from Chesterfield for £1.3m in 2015. Hull boss Leonid Slutsky said on Friday that the “supermarket was closed” at the KCOM Stadium. Burnley are also poised to return with a fresh offer for Leeds United striker Chris Wood, having had an opening bid, at slightly less than the £12m reported, turned down. 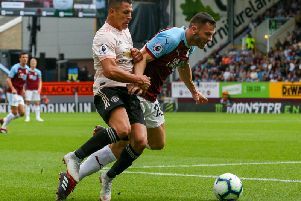 Burnley are the only bidders at present, with speculation also linking Wood with former club West Brom, as well as Brighton, and it is thought Leeds would consider an offer in the region of £20m.